Ever have a summer afternoon to relax and unwind with a meaningful meal? Or friends stop by and you want a recipe idea that filling and easy to make? 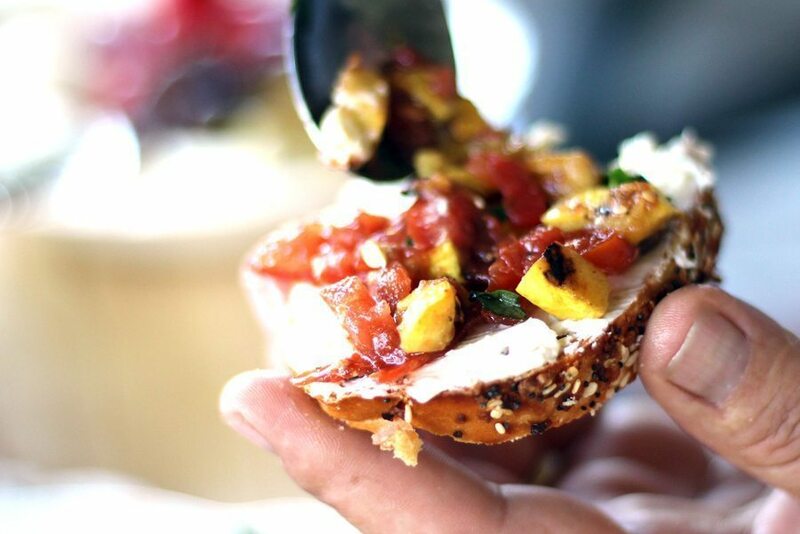 We created three ideas for summer bruschetta perfect for special days. Each recipe is delicious alone or make all three. 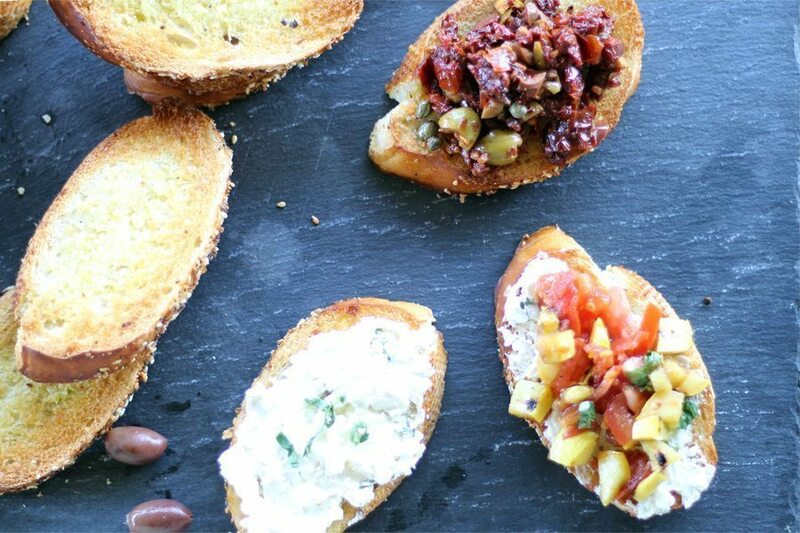 This trio of summer bruschetta recipes is best served with great wine and good friends. Summer Bruschetta Three (Spectacular) Ways. 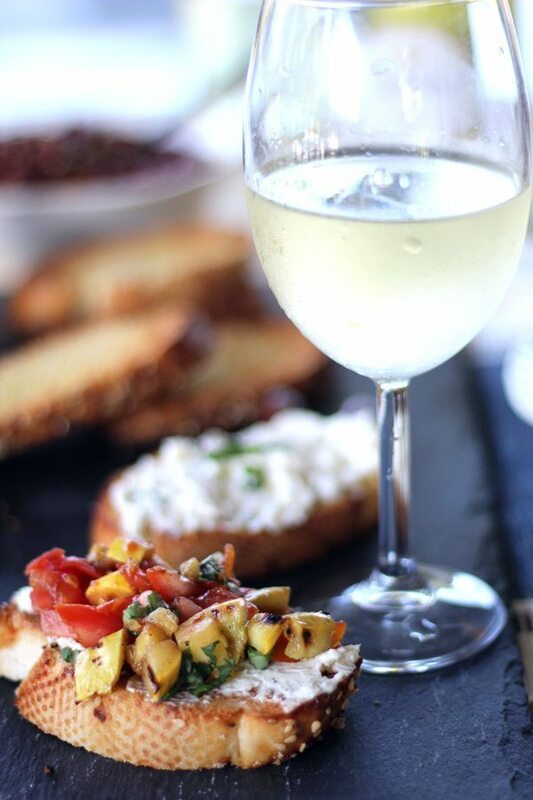 When we partnered with Clos du Bois wines to create a simple summer recipe, our immediate idea was bruschetta. 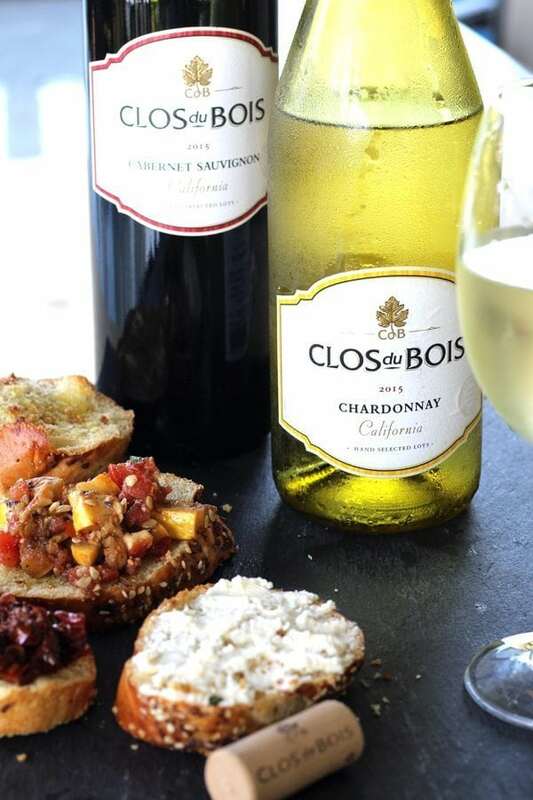 To accent these summer flavors, we picked a bottle of red and a bottle of white : Clos du Bois Cabernet Sauvignon and Clos du Bois Chardonnay. Clos du Bois offers new elegant packaging and the same great taste. Their line of wines are perfect for summer entertaining. Or any day you want to enjoy a simple meal with a delicious wine. Click here to visit Clos du Bois wines for more entertaining ideas. and wine pairings. You can also follow their brand for tips about wine on Facebook and Instagram. The rich and sweet tang of sun-dried tomatoes is exactly the flavor I wanted for this bruschetta. 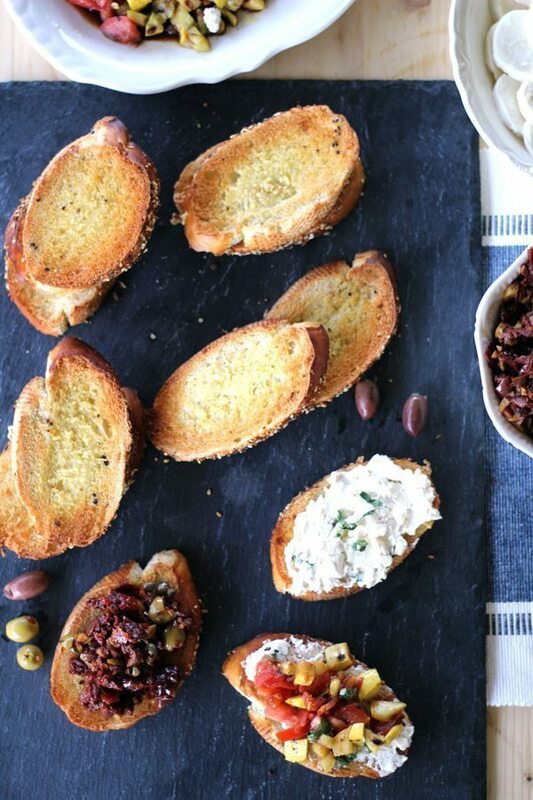 What could be a more amazing ingredient to brighten the flavor of an olive tapenade? 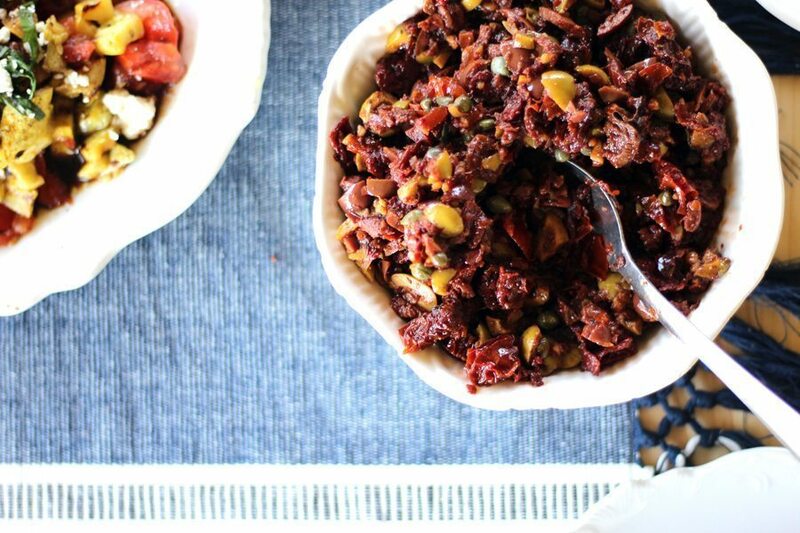 To create this rustic tapenade, give your tomatoes and olives a rough chop. 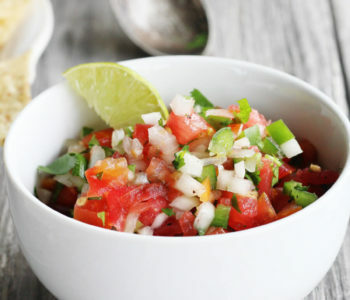 You can blend the ingredients in a food processor if preferred, but I wanted to taste the unique flavor of every bite. This simple recipe is stirred and allowed to rest at room temperature while you prepare your other bruschetta. Or while you unwind with a chilled glass of Clos du Bois Chardonnay. 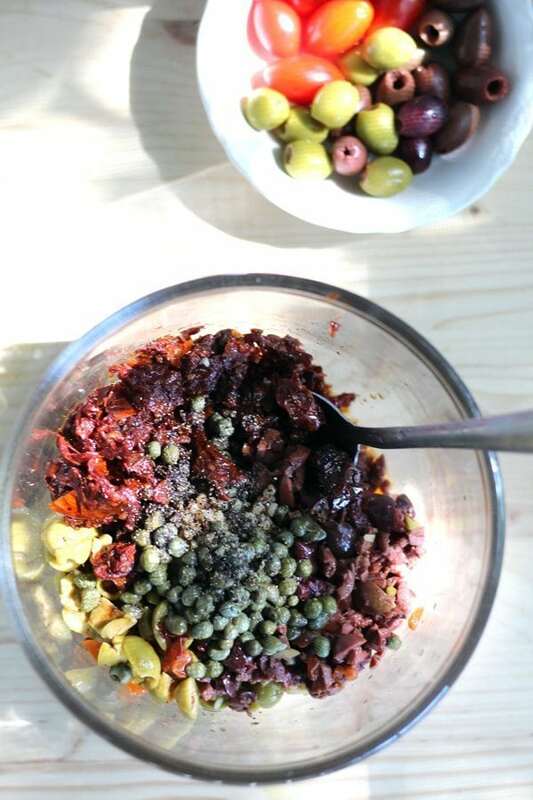 To get the complete recipe and ingredient list for Sun Dried Tomato & Mixed Olive Tapenade, see the bottom of this post. Bread, cheese, and wine. Forever and ever, Amen. 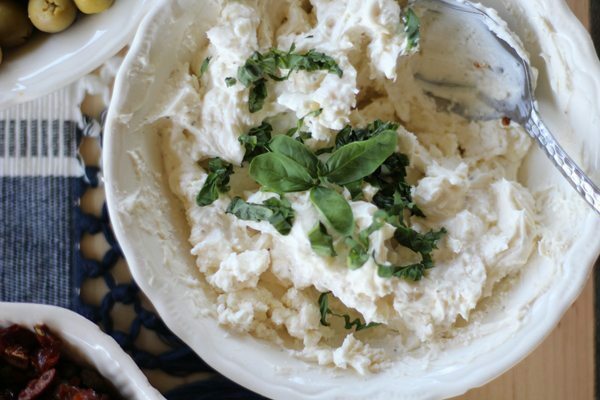 This tangy and creamy cheese spread is so addictive you could eat it straight from the spoon. I prefer mine on bread. Because…well, bread. 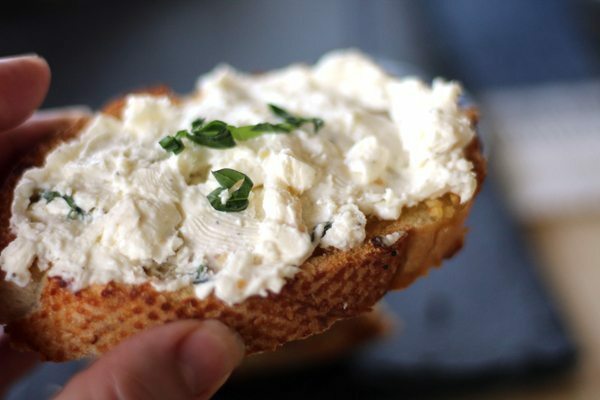 Sprinkle the Feta Cheese bruschetta topping with fresh basil just before serving. Doesn’t this bruschetta make your mouth water? 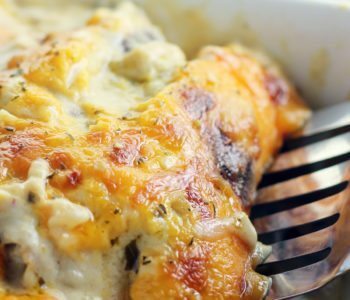 Imagine biting into the creamy cheese on top of toasty garlic bread, followed by a sip of Clos du Bois Cabernet Sauvignon. 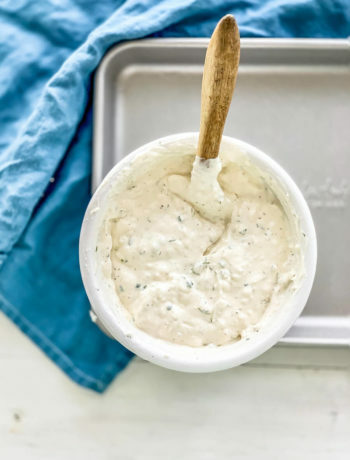 To get the complete recipe and ingredient list for Feta Cheese Spread, see the bottom of this post. 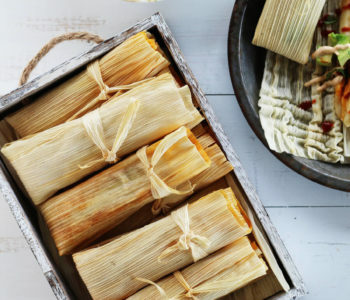 One of the perks of summer entertaining? Seasonal vegetables. 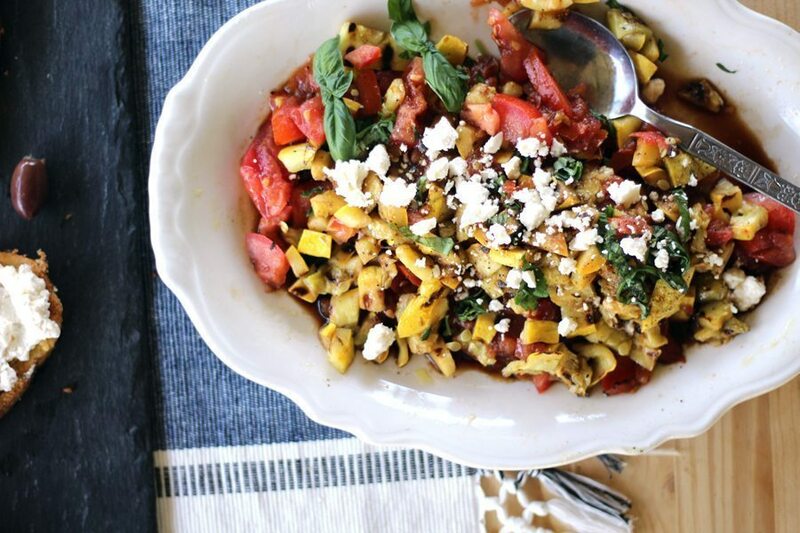 Summer squash and fresh tomato slices are first lightly grilled, then chopped. The flavors of the vegetables burst with drizzled balsamic vinegar. Sprinkle with crumbled Feta cheese and fresh basil and toss lightly before serving. This topping is my favorite of the three recipes. 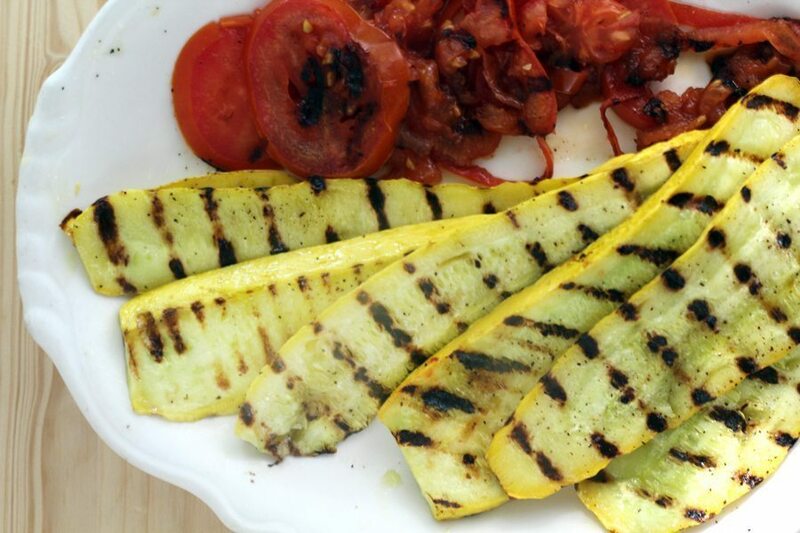 To get the complete recipe and ingredient list for Grilled Summer Squash & Tomato with Balsamic, see the bottom of this post. My perfect combination? Bruschetta topped with a layer of Feta Cheese spread and a helping of Grilled Summer Squash & Tomato with Balsamic. 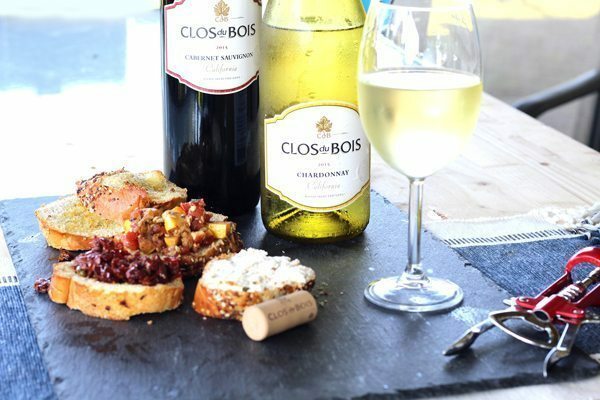 Clos du Bois wines are perfect for all of your favorite sunny summer occasions. Perfect for picnics, cookouts, or any day you want to enjoy a flavorful wine. 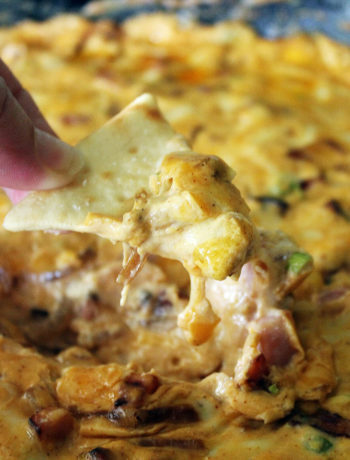 Share this post with your friends and try these recipes at your next gathering. Three delicious and savory bruschetta toppings. One is an olive and sundried tomato tapenade. The second is a creamy cheese spread with feta and asiago cheeses. The third (My favorite) is a grilled tomato and summer squash with balsamic. Stir together the olive oil and garlic. Heat for 20 seconds in microwave. Stir. Brush both sides of the bread lightly with olive oil. Sprinkle both sides with salt and pepper to taste. Spoon some of the garlic onto the top side of the bruschetta as desired. Place on a baking sheet and bake for about 12 minutes until toasted on each side. Broil for 1 - 3 minutes if a crunchier bread is desired. Combine all ingredients in a medium bowl. Stir to mix well. Let rest at room temperature for 30 minutes before serving. Combine the softened cream cheese and cheese wedges with the pepper until blended. Gently fold in the Feta cheese crumbles. Sprinkle with fresh basil before serving. Heat a grill or broiler to medium high. Lightly brush both sides of the summer squash slices with olive oil and sprinkle with salt and pepper. Place on the grill. Cook each side for 3 - 4 minutes until lightly browned. You can also grill the tomato slices if desired. Remove vegetables from grill and cool. Chop the squash and tomatoes. Salt and pepper lightly (to taste). Drizzle with balsamic vinegar and top with crumbles of Feta cheese if desired. Thank you Kelly. We had a wonderful time working on this recipe, and thoroughly enjoyed the wine. I love bruschetta! I love all of the ways you prepared it. This spread would be perfect for an upcoming girls’ night! 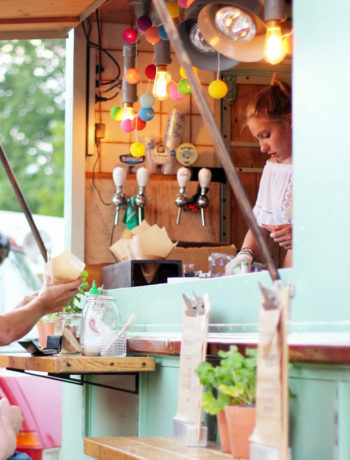 Love all these different toppings and ideas! I’m loving the squash and tomato with balsamic – yum! You have everything I need for a party right here, I’m loving the bruschetta bar – topped off with a glass of wine? Perfect! 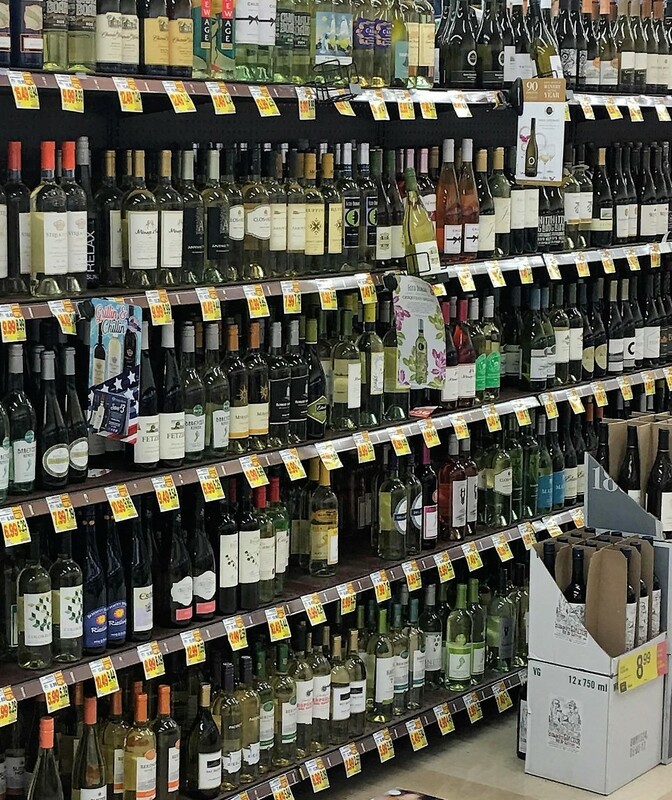 I can only imagine how perfect that would be with all that wine! Summer is here! Wine makes everything better, doesn’t it? 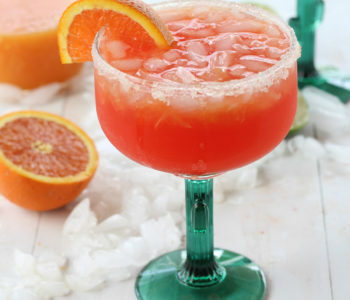 Thanks for reading our post and hope you get to try one or more of the recipes soon. 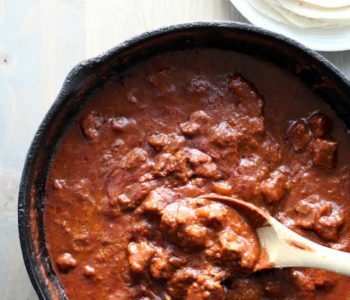 I especially love #3 and can’t wait to try this recipe. Have a great summer! The third one was my favorite, too. So fresh and just the right amount of balsamic. 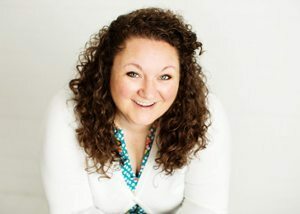 I hope you have a chance to try it and would love to hear what you think. I want to try all of these. So much delicious flavours and loads of colour. Yum. All the three options look amazing but my favourite is Sun Dried Tomato & Mixed Olive Tapenade. I love olives too and so do my children. I’m sure they would eat all these tasty summer bruschetta till the last bite! I have to say that Clos du Bois is already my go to wine. Usually Chardonnay and I can imagine that it would go great with all of those crostini. My first choice would be Sun Dried Tomato & Mixed Olive Tapenade. Yum!